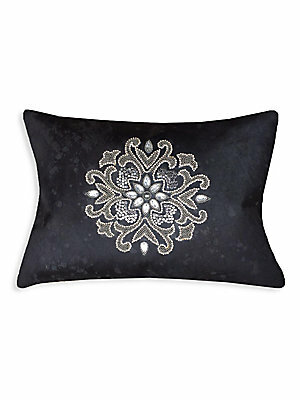 A chic velvet cushion with ombre embroidery accents. Removable leather-blend fill Velvet Lined Dry clean Imported SPECIFICATIONS 22"W x 22"H. Gifts - Bed And Bath. Callisto Home. 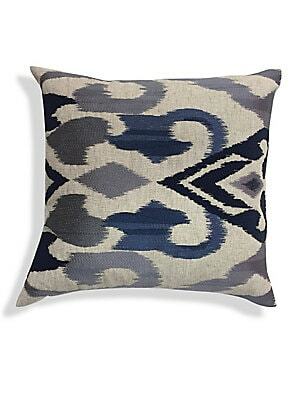 Acid wash hairon pillow with down feather fill. 14"W x 20"H Polyester Fill: Down feathers Dry clean Imported. Gifts - Bed And Bath. Callisto Home. Color: Black Gold. 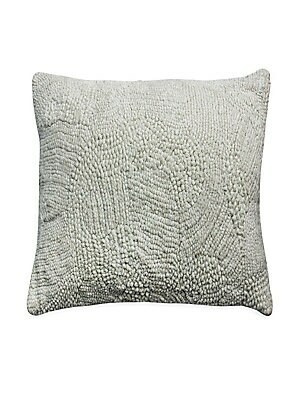 Acid wash hairon pillow with down feather fill 14"W x 20"H Polyester Fill: Down feathers Dry clean Imported. Gifts - Bed And Bath. Callisto Home. Color: Black. 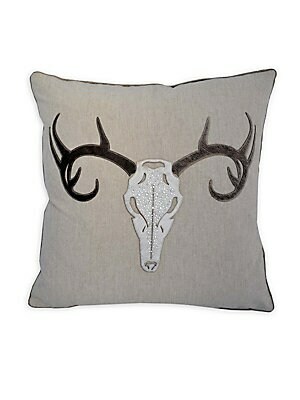 Add a touch of western inspiration to any room with this linen and calf hair pillow. 20"W x 20"H Cotton lining Linen Fill: Down/feather Fur type: Natural calf hair Fur origin: India Dry clean Imported. Gifts - Bed And Bath. Callisto Home. 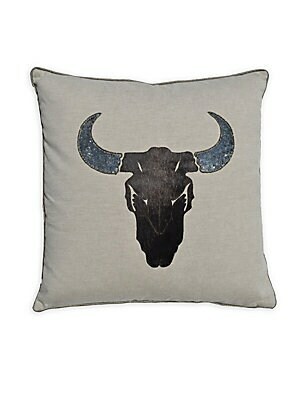 Add a touch of western inspiration to any room with this linen and cowhide pillow. 20"W x 20"H Cotton lining Linen Fill: Down/feather Fur type: Natural calf hair Fur origin: India Dry clean by fur specialist Imported. Gifts - Bed And Bath. Callisto Home. 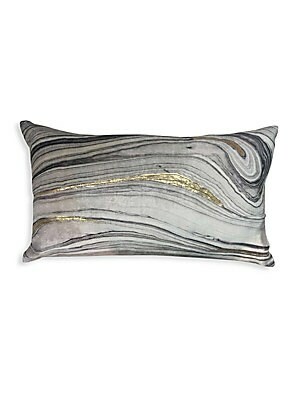 A silver shibori pattern enhances this luxurious velvet cushion. Removable feather-blend fill Velvet Lined Dry clean Imported SPECIFICATIONS 22"W x 22"H. Gifts - Bed And Bath. Callisto Home. 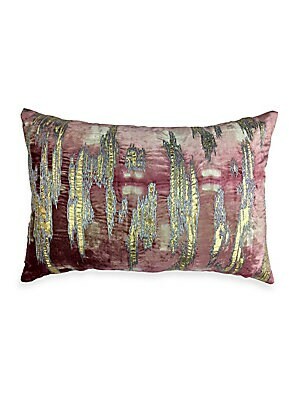 Beautiful blush and Shibori velvet pillow with gold foil and metallic embroidery. Zipper close Velvet finish Lined Polyester Removable fill: down/feathers Dry clean Imported SIZE 20"W x 14"H. Gifts - Bed And Bath. Callisto Home. 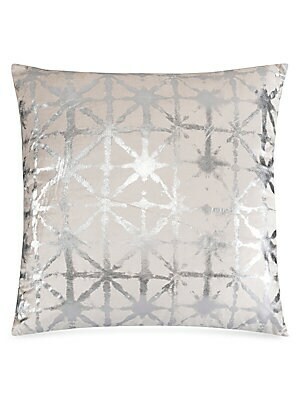 Beautiful velvet throw cushion highlighted by metallic silver printing. Velvet Lined Removable fill Fill: Down/feather blend Dry clean Imported SPECIFICATIONS 26"W x 26"H. Gifts - Bed And Bath. Callisto Home. 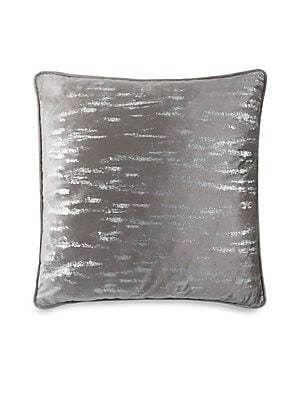 Brushstroke velvet pillow with down feather fill 14"W x 20"H Polyester Fill: Down feathers Dry clean Imported. Gifts - Bed And Bath. Callisto Home. Color: Grey. 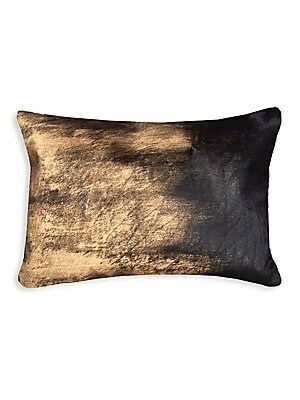 Chic decorative textured velvet pillow goes with any couch. Zipper close Velvet finish Lined Polyester Dry clean Imported SIZE 22"W x 22"H. Gifts - Bed And Bath. Callisto Home.